Absolute Exhibits prides itself on being a resource for all of our clients’ needs from trade show display design and fabrication to permanent exhibits and more. View our newest trade show displays at shows across the country in one spot. We constantly add new pictures to this portfolio to show the wide variety of designs we offer. Do you need inspiration? Our design search can offer you ideas that fit your booth size, shape, desired components, industry and more. With thousands of designs to choose from, you’ll gain the inspiration you need. Each gallery offers multiple views of the trade show display to gain a better sense of the display from every angle. Wondering how to provide an experience that will drive crowds to your virtual front door? Visit our blog to learn more about trade show marketing, engagement, design ideas, tips and tricks, and more. Our blog is updated twice weekly so check back for new ideas and new tips. A picture really is worth a thousand words. That’s why we feature our look books. Learn more about our history, capabilities, and offerings in our corporate brochure or compare how closely our renderings are to the real trade show display in Renderings to Reality. Ever wonder how a trade show display came to life from conception to execution? View our client spotlights, which feature the design story, pictures, videos, and client quotes. Each spotlight tells the story of how a brand told their story visually. Don’t just take our word for it; take our clients’ words for it and find out what they have to say about us in our testimonials. 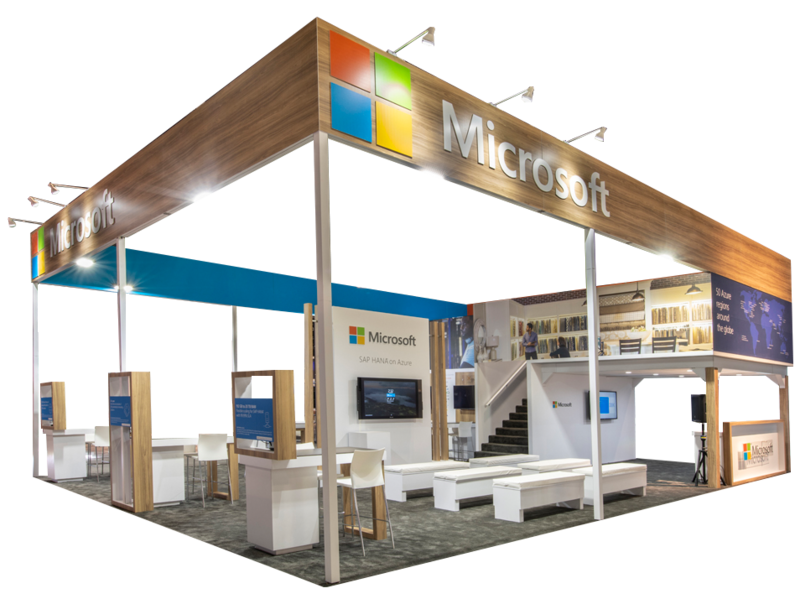 Let us help build, organize, and execute the perfect brand activation for your next trade show or business event. We pride ourselves on being a one-stop shop. Absolute Exhibits will help design your exhibit, graphics, print materials, and assist you with a brand activation or experiential event. Our creativity and passion for great events shows in every brand activation. Contact us today for more information.